Summer is here and so are the delicious mangoes ! The tradition of gifting tasty mangoes has been carried out throughout the ages. This summer, Tajonline brings to you the best quality Alphonso mangoes at the best prices in varied quantities to suit your choice. Enjoy the excitement and tantalize your taste buds with these delicious mangoes. You can now beat the heat in the best possible way by having various chilled delicacies like smoothies, ice creams, coolers, shrikhands and lots more prepared with the King of fruits !You can even send them across India as gifts to your near and dear ones. This King of fruits is tasty in any form! Be it as a fruit or in a mocktail or even as a dessert ! It is the best gift for all age groups this season and can be enjoyed by sitting at home .So what are you waiting for ? 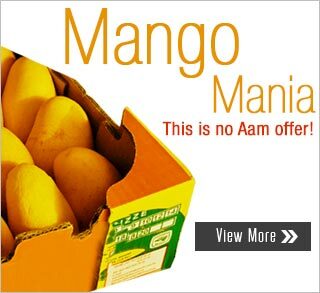 Gift the most luscious mangoes this summer to your friends and relatives from tajonline.com.